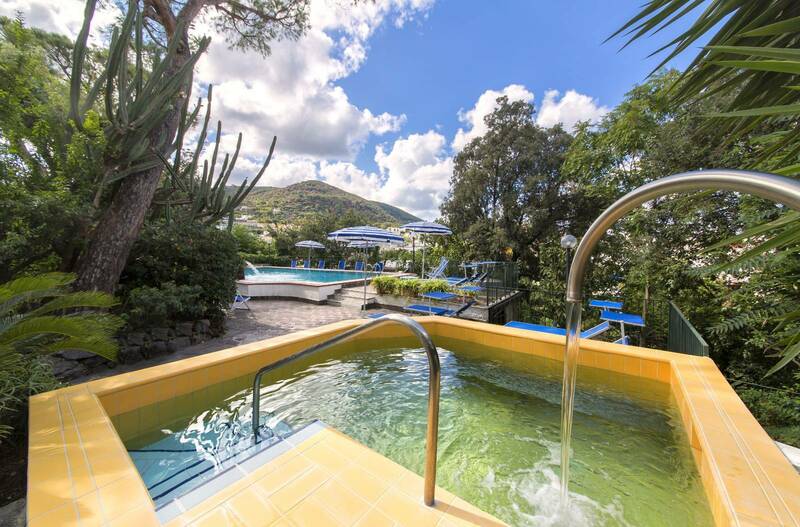 From an ancient Villa’30s was born the Hotel Vittoria, central and quiet 3 star hotel in Ischia Porto, is a few steps from the sea, the thermal baths and the “walk/shopping” of Corso Vittoria Colonna. 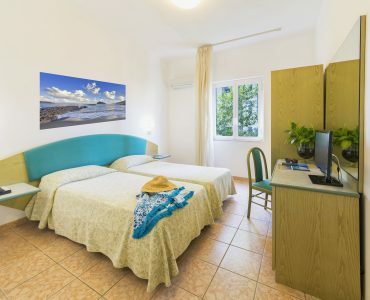 The rooms, in particular with Mediterranean colours, have: air conditioning, free WI-FI, minibar, led TV with satellite channels, telephone, private bathroom with shower, hairdryer, free toiletries, some of them also have a terrace with a view Garden, the “Comfort” rooms are also equipped with a terrace overlooking the swimming pools. 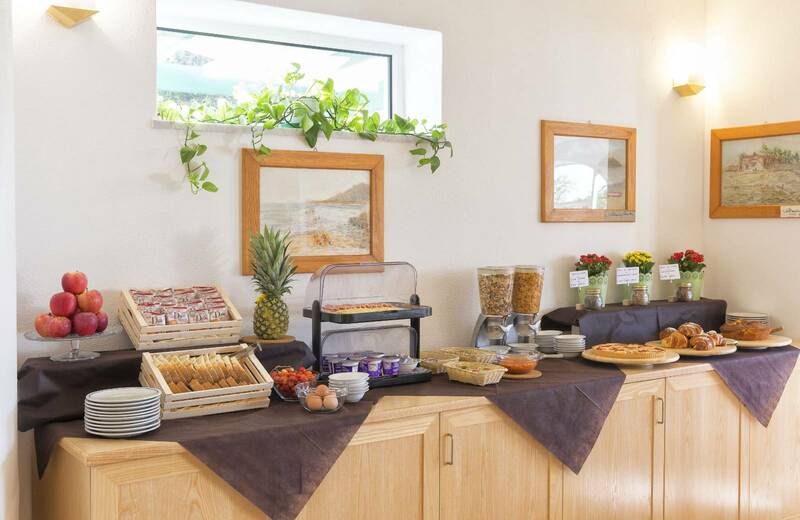 The family management ensures a service cared for the smallest details; breakfast offers a rich sweet and salty buffet, for lunch you can enjoy the delicacies of the Snack Bar prepared with fresh and genuine products. location: the thermal swimming-pool with hydromassage, the terrace-solarium equipped with loungers, deckchairs and umbrellas and the thermal bath with waterfall at 38°C optimal for osteoarthritis, rheumatism and joint pains, the water that feeds the pools has obtained therapeutic recognition from the Ministry of Health. 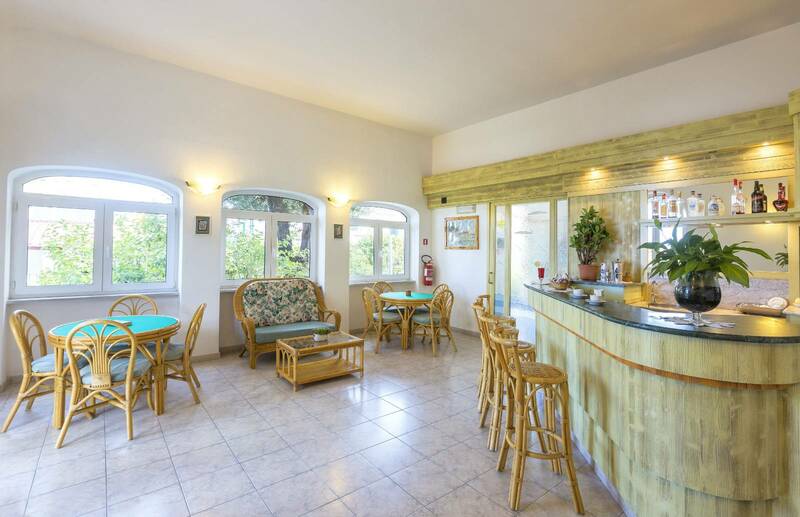 The hotel also has a Bar with a games room/TV corner, free WI-FI in the public areas, heliotherapic terraces and parking. 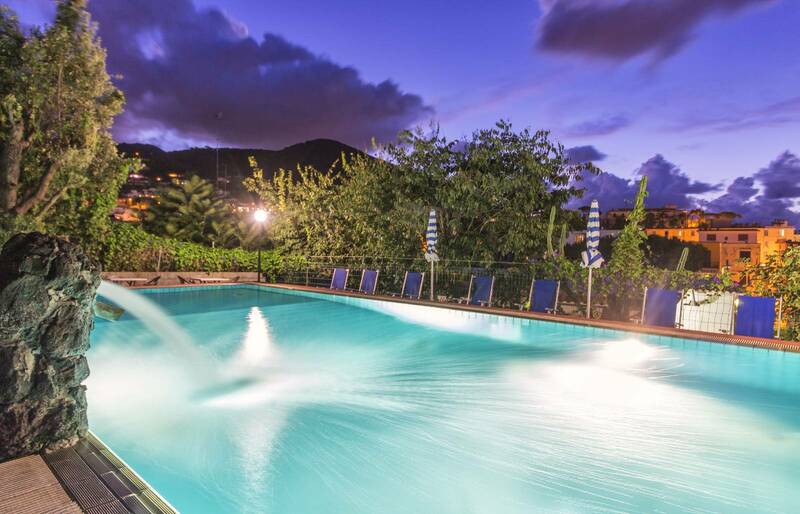 Agreement with the “Terme di Ischia”, thermal spa SSN. 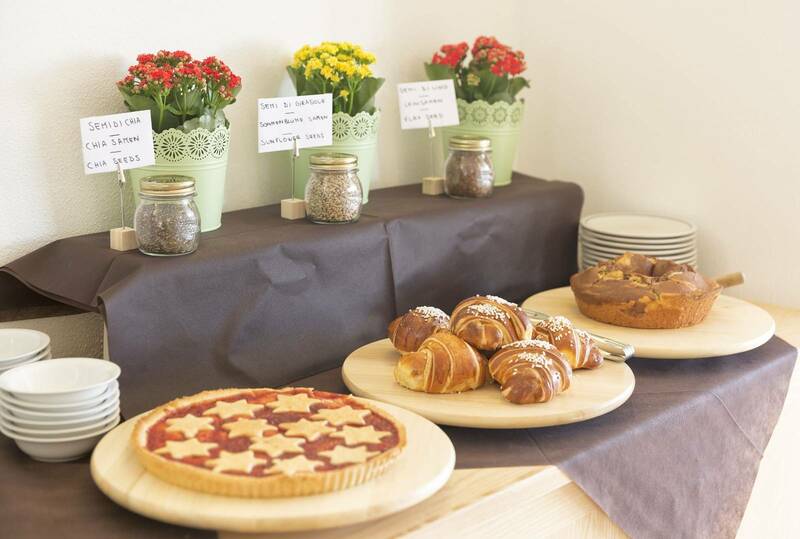 The hotel organizes transfers with Gran Turismo BUS from north/central Italy to the hotel. 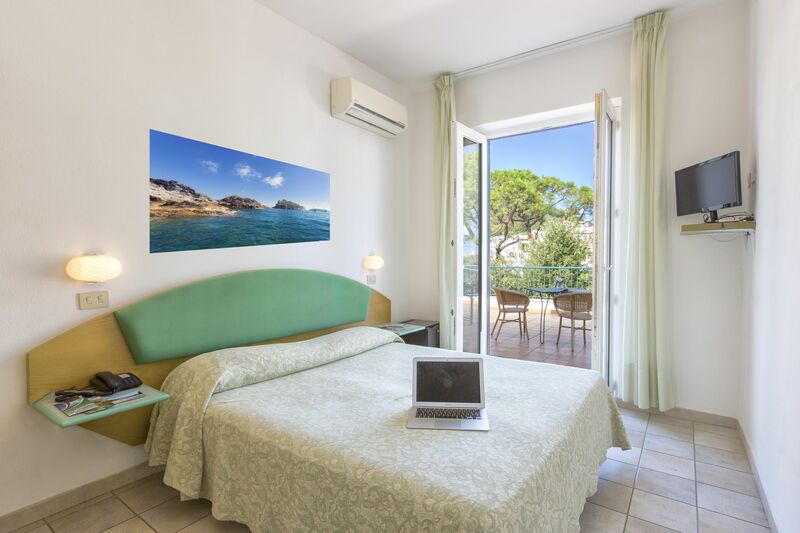 All to offer you an unforgettable holiday in one of the most beautiful island of the Mediterranean. 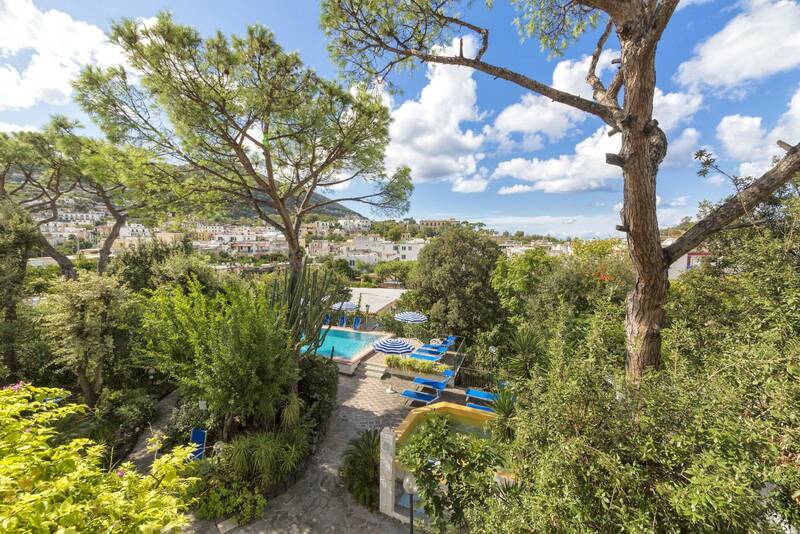 "Hotel Vittoria is a fantastic gem in the heart of Ischia Porto. 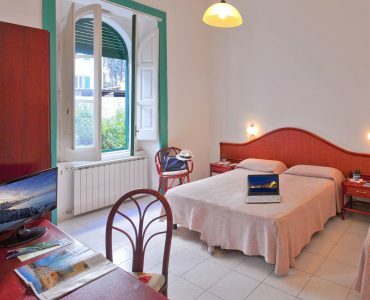 It’s just off the main street, so it’s very quiet but all the main shopping streets are few minutes walk away. It took us about 10/15 minutes to meander to the beach. The interior is stunning with hot tub and pool in the back garden and a terrace overlooking the mountains. You can enjoy the sunset from the terrace! Our room was great with a view into the street. The bed was one of the most comfortable ones and the air conditioning with a sleep mode was a life saver! Breakfast was delicious and the staff (a family) went out of their way to make our stay as pleasant as possible! The room does not have a safe but the owners kept all our valuables save with them. We stayed at the hotel for 4 nights and loved it! 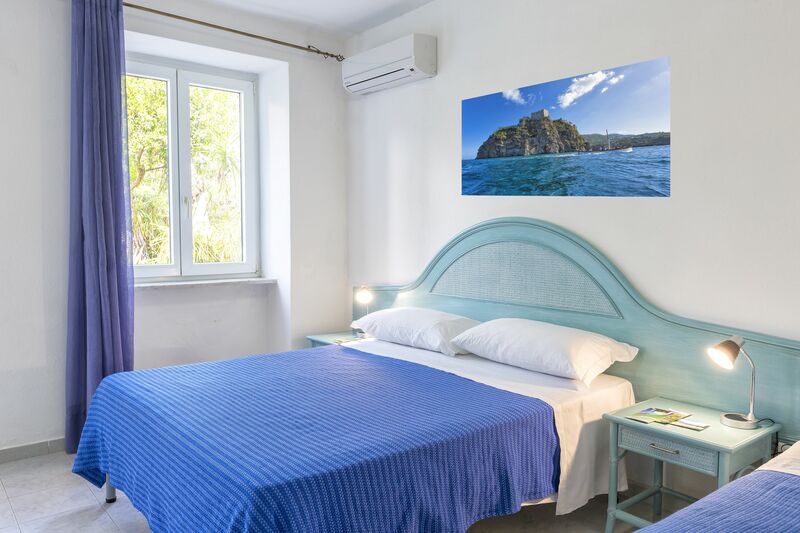 Whilst walking around the Ischia Port we certainly felt we were staying in the best place possible and would certainly stay there again. My husband and I travel a lot and have stayed in many hotels, small or big and this hotel has been one the best so far! I can recommend this place to anyone!" 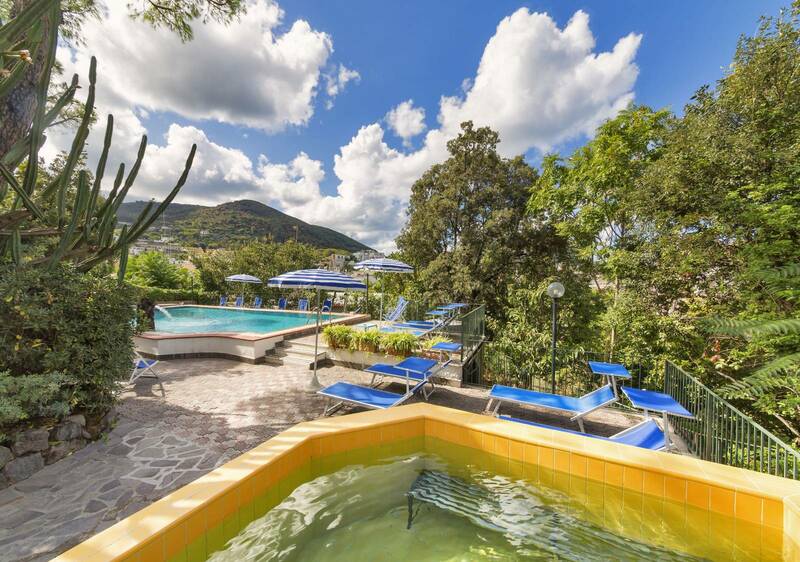 “Wonderful family run hotel hidden perhaps 10 minutes walking from the busy part of Ischia porto. Good breakfast (not so good coffee), nice room (we got an upgrade, thank you! ), very nice swimming pool and also a small hot bath. Rooms with a terrace are truly wonderful. Everyone working there treated us like friends. Recommended!"